. - NEW Rhinestone Floating Locket MICKEY MOUSE Memory Necklace in an Organza Pouch!
. - NEW Rhinestone Floating Locket MICKEY MOUSE Charm Memory Bracelet Organza Pouch! 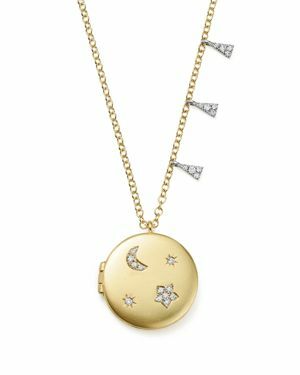 Belle Noel by Kim Kardashian - Honey Hexagon Locket in Gold with Ivory Hexagon-shaped locket featuring an ivory resin inlay surrounded by imported Czech crystals. 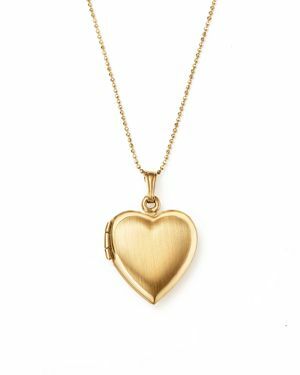 14KT Gold-Plated Palladium. House of Harlow - Plated Feather Locket Ring Cocktail ring featuring a black gemstone at center surrounded by a row of embossed feathers. 14kt gold-plated palladium. Exclusive Photo to Singer22. 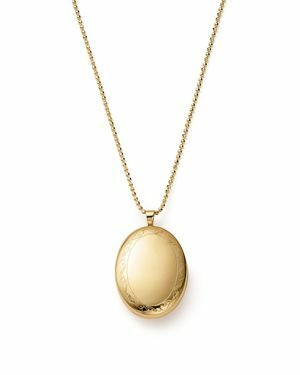 Bloomingdales - 14K Yellow Gold Oval Swirl Locket Necklace, 22 - 1 An heirloom-inspired locket necklace of 14K yellow gold delicately detailed with swirled engraving on a ball bead chain.